After having a lot of success and positive response with the release of the Jordan Phase 23 Hoops, Jordan Brand will give us another good treat with their new colorway of one of their latest models in the market. 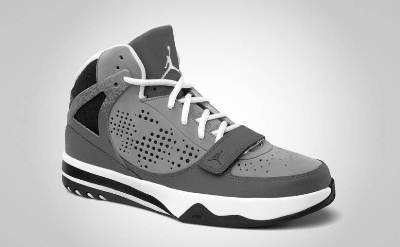 The Jordan Phase 23 Hoops, which came out in seven colorways last June 2011, will be released in Stealth/Black-Light Graphite-White colorway this July 2011. And like the previous edition of this shoe, this new Jordan Phase 23 Hoops will give you superb protection while getting attention inside the hard court because of its attractive design. Impressed? You have all the reasons to be excited so start saving money because it will drop in the market anytime this month!